The Klamath Basin Coalition is an alliance of local, regional and national organizations dedicated to conserving and restoring the biological resources of the West's once-great Klamath Basin. The Klamath Basin in northern California and southern Oregon is still one of the nation's geat ecological treasures. Considered a "Western Everglades," this area attracts nearly 80% of the Pacific Flyway's waterfowl and supports the largest over-wintering population of bald eagles in the lower 48 states. Once the third most productive salmon river system in the U.S., salmon still migrate in the nearly 250-mile river, although in greatly diminished numbers. Many species exist in the Klamath Basin and nowhere else on Earth. Unfortunately, many of those species are now faced with extinction because the scarce water resources of the arid Basin are grossly over-appropriated. Our vision is to restore a healthy, naturally diverse, and productive Klamath Basin ecosystem by re-establishing, to as great a degree as feasible, 'normative' hydrological conditions and ecological functions throughout the entire basin. This can be accomplished through a comprehensive ecosystem restoration program that accommodates the needs of both wildlife and people. Ecological restoration can help ensure a healthy economy and a high quality of life throughout the basin. The Klamath Basin should support vibrant Native American, sport and commercial fisheries, and wildlife/wildlands-oriented recreational activities. The Klamath Basin can also support a healthy agricultural economy that is ecologically sustainable. Wasteful water use and water over-appropriation hurts farmers more than anyone, creating massive uncertainty and economic instability in farming communities already hard pressed to compete in global markets. Farmers only benefit from conservation and restoration measures that make better use of the Klamath Basin's limited rainfall and bring the demands on that supply back into balance with the water actually available. Past water policies that pitted farmer against farmer, farmer against fishermen, and upper basin against lower basin are no longer acceptable. 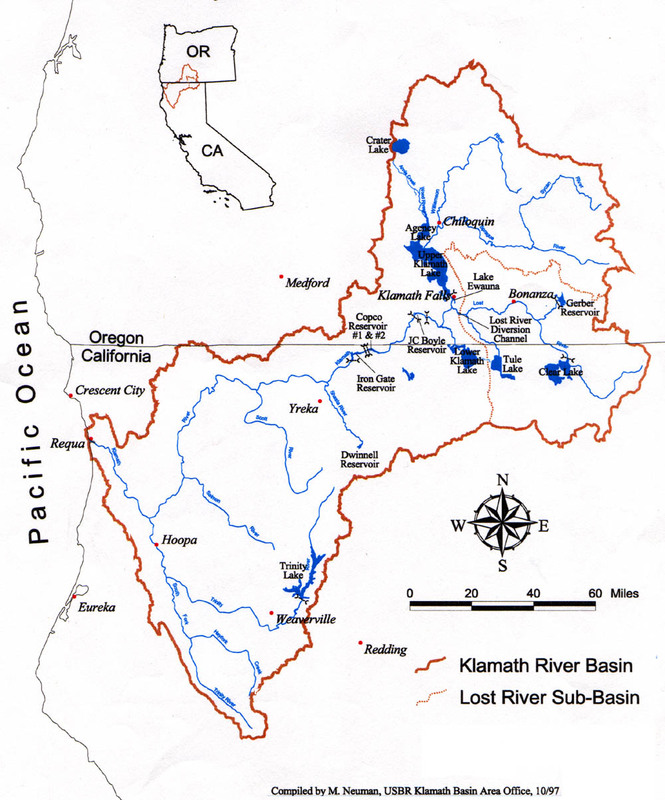 "A Conservation Vision for the Klamath Basin"